BARREL is a series of balloon campaigns designed to supplement measurements from NASA’s Van Allen Probes. 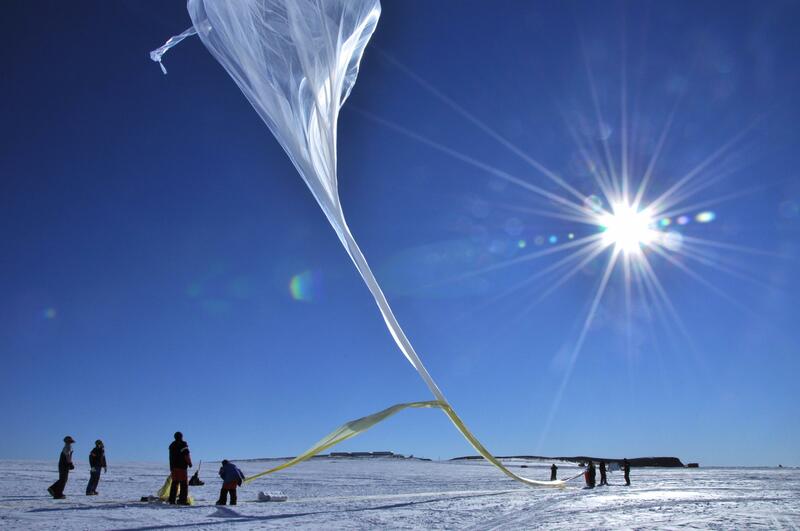 Launched from Antarctica during the summers of 2013 and 2014 and from Sweden during the summer of 2015 and 2016, the collective total 47 miniature scientific balloons measured the telltale X-rays caused by the rain of relativistic electrons falling to Earth from the radiation belts. Comparing measurements from BARREL – taken some 20 miles above Earth’s surface – to measurements taken by the Van Allen Probes within in the belts allows scientists to better understand the mechanisms that send the electrons rocketing towards Earth’s surface. In addition to coordinating their data collection with the Van Allen Probes, the BARREL team, led by Dartmouth College, coordinated with several other NASA missions, including the Magnetospheric Multiscale Mission, the Time History of Events and Macroscale interactions during Substorms, and the joint ESA/NASA Cluster mission.